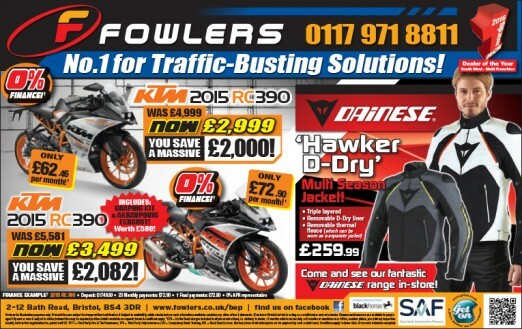 This entry was posted in Offers, Press Advertising and tagged deals, november, offers on 30/11/2016 by Fowlers News. 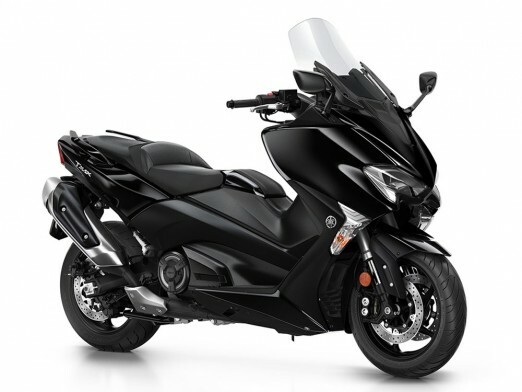 0% finance available on Honda’s 500 series bikes in December! 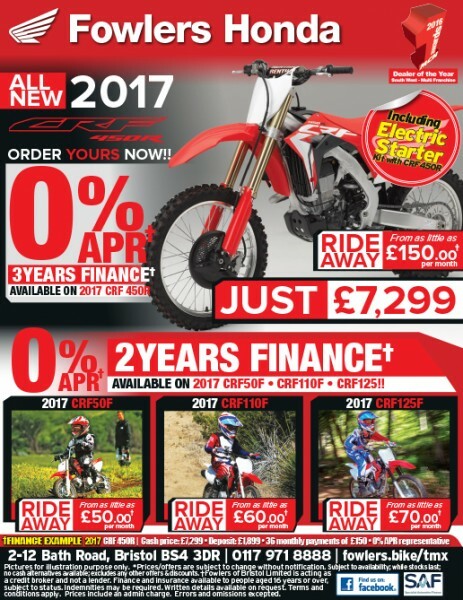 Honda’s 500cc bikes have been massively popular in recent years – letting new and experienced riders alike get as much fun as possible out of their bikes. Whether you’re on an A2 license, or a seasoned rider looking for something new – Honda has you covered. 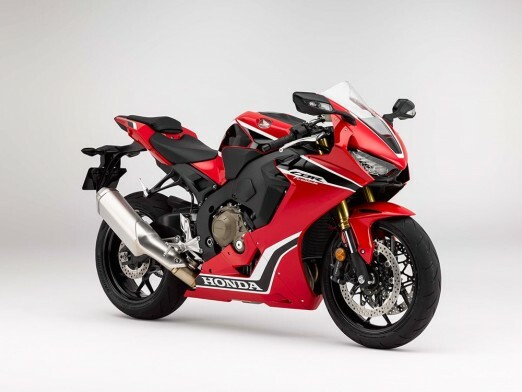 The CBR500R combines aggressive body styling and enhanced tuning to bring a race feel to bring an extra rush of riding performance. Inheriting its looks from its bigger brother, the Fireblade, riders can carve up the twisties or take the city streets in style. 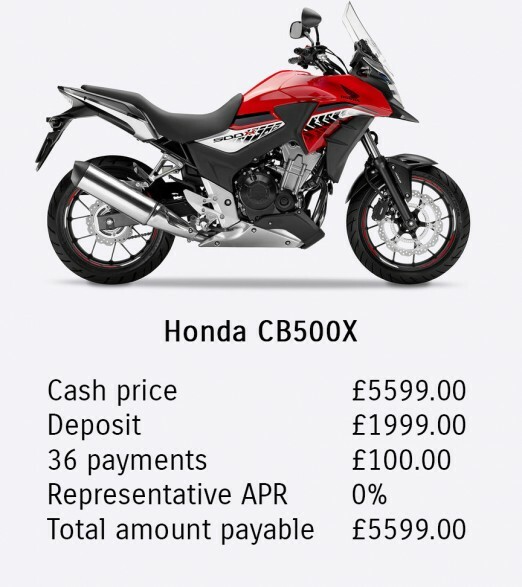 The CB500F is a head-turner whether on your commute or out for some weekend fun. Winner of Autotrader’s Best Bike of 2016 Award in the A2 category, it’s suitable for new riders as well as those wanting a commuter. 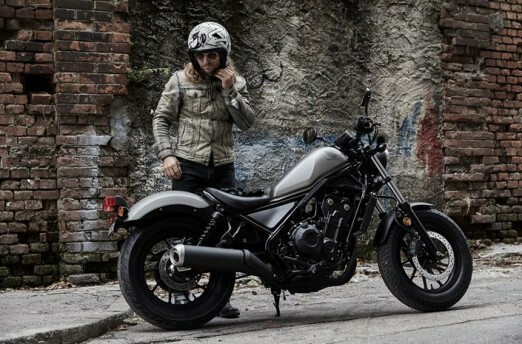 With agile handling and a comfortable, upright seating position, the CB500X can handle anything you throw at it. With a large windscreen and rugged styling, it’s perfect for city streets or country lanes. A minimum deposit of £1499 is required for 0% VPL Finance. Offer only available for terms up-to 36 months. New Honda 500 Series (16YM) registrations from 01 December 2016 to 31st December 2016. Subject to model and colour availability. Representative Example based on 0.0% APR; Offers are at the promoter’s absolute discretion. Indemnities may be required in certain circumstances. Finance is only available to persons aged 18 or over, subject to status. All figures are correct at time of publication but may be subject to change. Credit provided by Honda Finance Europe Plc Cain Road, Bracknell, RG12 1HL. Honda Finance Europe Plc is authorised and regulated by the Financial Conduct Authority, Financial Services Register number 312541. 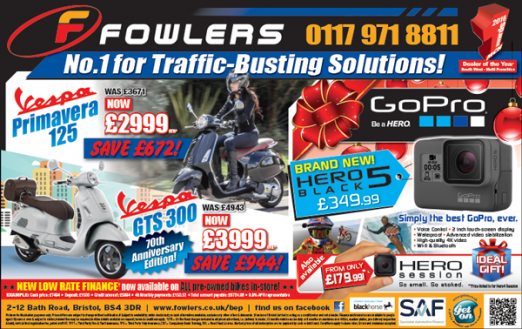 For more information about any of these models, or our 0% offer, please get in touch with Fowlers Honda on 0117 977 0466 or email sales@fowlers.co.uk. 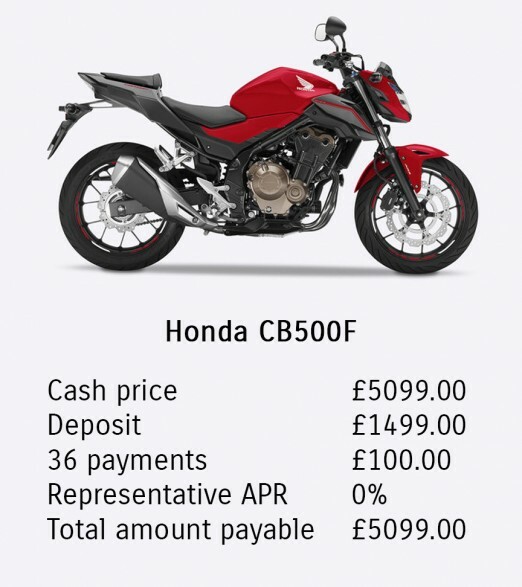 This entry was posted in Honda, Offers and tagged CB500F, CB500X, CBR500R, finance, Honda on 24/11/2016 by Fowlers News. Honda announces return of the Rebel for 2017! The new 500cc Rebel features a host of additions, guaranteed to make it a strong choice for any rider. A low seat and mid-mounted footpegs make for a relaxed riding position, while optional extras will include a pillion seat, luggage rack, screen, or a 12v socket. The parallel twin engine is A2-friendly, taken from the CBR500R and tweaked to give more low-end power, ideal for a relaxed cruiser. 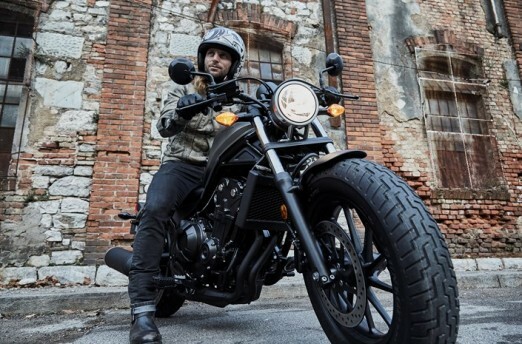 Honda has also designed the Rebel to be easy to customise – I’m sure we’ll see custom parts appearing soon! 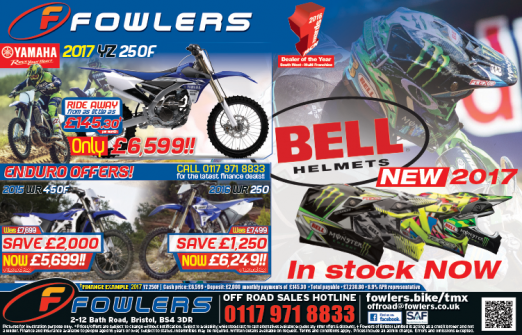 This entry was posted in Honda, New Bikes and tagged Cruiser, Honda, Rebel on 18/11/2016 by Fowlers News. There’s a host of upgrades to the Dukes 125 and 390 – a larger, reshaped steel tank in place of the plastic; a new subframe and exhaust system, replacing the underslung pipes. Up front, a new TFT display; LED headlights and optional “KTM MY RIDE” connectivity that talks to your smartphone, complete the improvements. 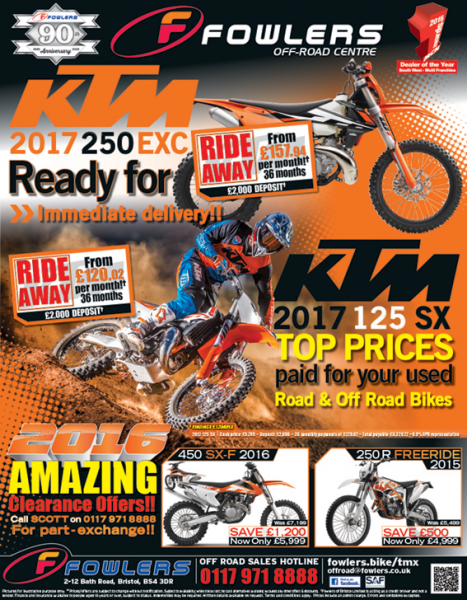 Styling-wise, these changes bring the 125 and 390 much closer in-line with their bigger siblings – something that’s sure to turn heads! 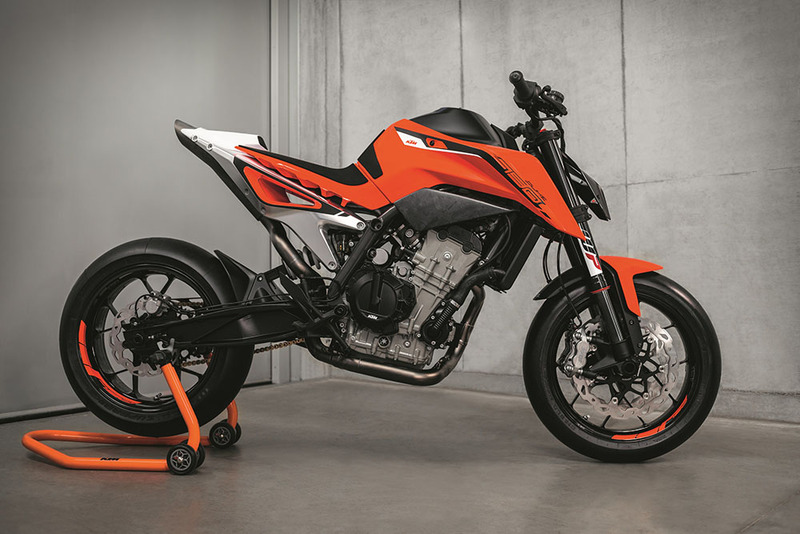 KTM’s largest-capacity beast has not been neglected either – with a new transponder key, jumping on your ride has never been so quick and easy. The V-Twin has been overhauled and now produces a stunning 177bhp – the chassis and handlebars have also been revamped. ABS, a quickshifter, a new TFT display and a full LED headlight complete the updates to this model. The star of KTM’s show at EICMA was the brand new prototype 790 Duke – a new capacity, brand-new twin engine in a brand new frame. Keeping KTM’s tried and tested WP suspension like the rest of the line. 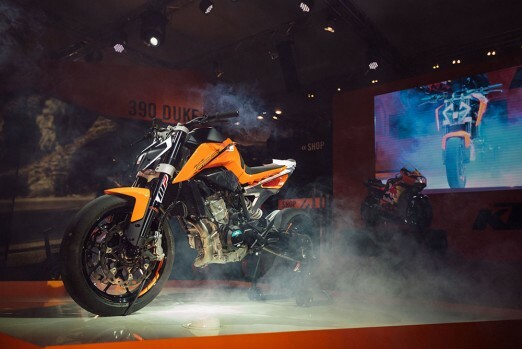 Expected to have the latest in ride-by-wire, quickshifter technology, as well as the connectivity and TFT upgrades we’ve seen across the rest of the line – we can’t wait to see in in the flesh! This entry was posted in Uncategorized on 17/11/2016 by Fowlers News. 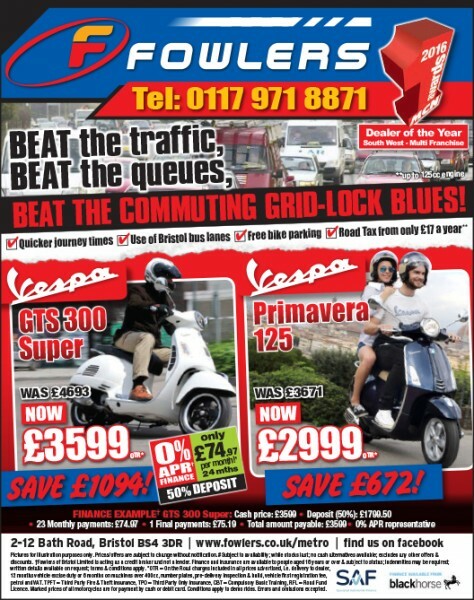 Be seen this winter with our latest offers on gear! The clocks have gone back, the warmer clothing is out… but you may still be missing a few essentials for winter riding. So make the most of being inside in the warm, and check out a few of our most recent deals! 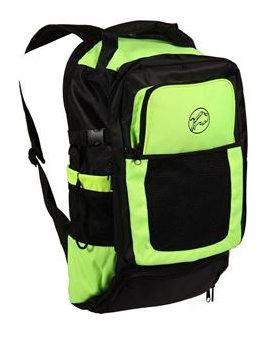 This backpack is great value at only £29.99, and incorporates a helmet carrier into the base! Padded straps, a chest clip and lots of pockets make it practical, while the fluorescent panels ensure you’ll be seen in the dark. No-one likes cleaning their bike (well, most people! ), but when the road salters come out and the roads get muddy, it has to be done! So why not make the task a little easier with the right tools? 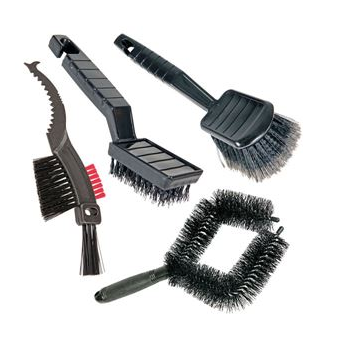 This brush set includes a chain cleaner, to make sure your chain always in tip-top condition, extending its life too. A steal at just £19.99! Sometimes you can’t help but get caught in the rain, and having a waterproof suit in your arsenal of kit is the simplest way to ensure you don’t get soaked to the bone (and cold!). 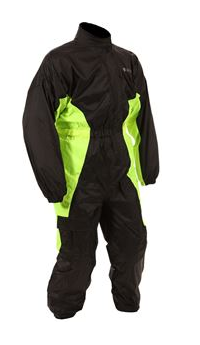 This Weise Tempest suit also includes hi-vis panels to give you that extra visibility you need when it’s chucking it down. Every rider is accommodated for, with sizes from XS to 5XL, for just £55! 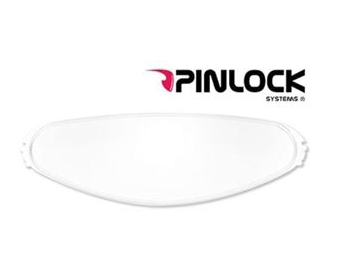 Finally, something no rider should ever be without – the trusty Pinlock insert, from just £22. These go inside your visor, either on the pre-installed pegs, or with adhesive if your existing visor doesn’t have them, and create a “double glazing’ effect that stops you steaming up. If you only get one winter riding essential, this is the one to get – you’ll never look back after you put one in! This entry was posted in Offers, Reviews and tagged accessories, backpack, buffalo, clothing, gear gremlin, pinlock, Weise, winter on 14/11/2016 by Fowlers News. EICMA 2017 round-up for Honda, Yamaha and Suzuki! 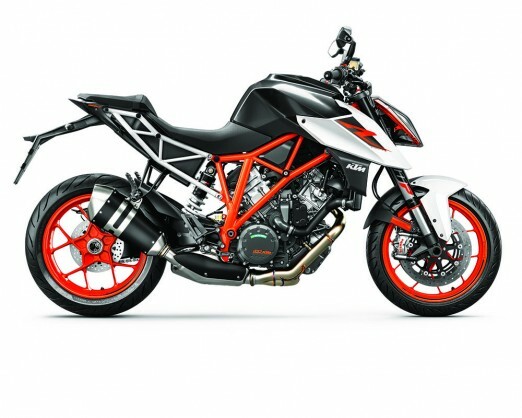 EICMA (Esposizione Mondiale del Motociclismo) in Milan this week has been busy as ever! With lots of new bikes announced, we bring you a round-up of the new models and updates from the “big three” manufacturers. Suzuki have introduced two new bikes based on their 250cc engine – a V-Strom and a GSX. Both bikes will run an engine producing just under 25bhp horsepower, and share many component parts. ABS will also be standard, and both models are estimated to weigh in under 190kgs. 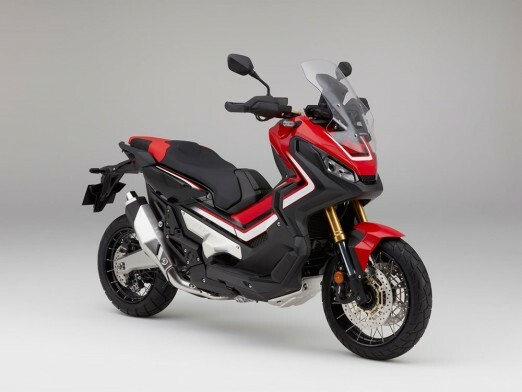 The V-Strom joins a new line-up of smaller-cc adventure bikes coming out next year, while the GSX-250R joins the existing Inazuma line-up as a more stylish and enjoyable commuter. Suzuki have also released an updated version of the Burgman 400, featuring an updated bodywork design (sleeker than the previous version, with foot cutouts for a more stable feel and a newer windshield design), and the usual creature comforts such as a comfy seat and 12v socket. A naked version of their just-announced GSX-R125, the GSX125, has also been announced. 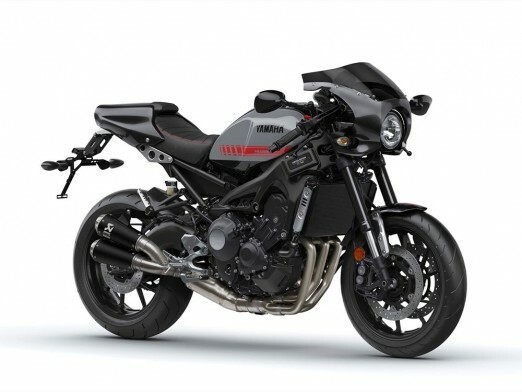 At just 133kgs, it’s super-light and ideally placed as a rival to Yamaha’s YBR and Honda’s CB. Honda have released quite a few new updates at EICMA, following on from a host at Intermot just a few weeks ago. 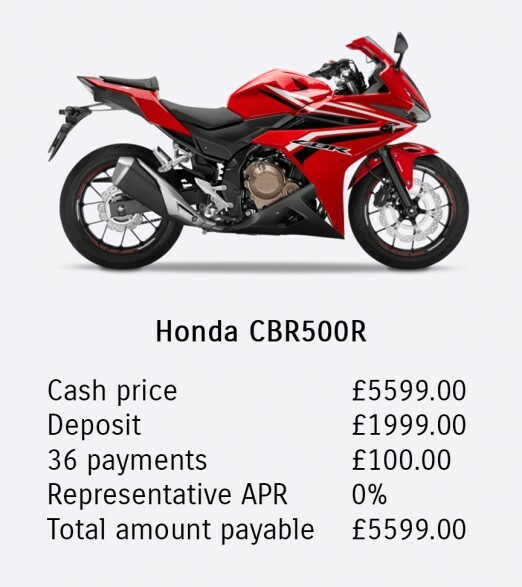 The most noted being the street version of their Fireblade, the CBR1000RR. The entry-level Fireblade sports 9-level traction control, non-semi active suspension, three rider modes and a full colour TFT dash. The CBR1000RR is slightly lighter, at 196kg. 90% of the new model is redesigned and improved for 2017 – we can’t wait to get one in the showroom! The CBR650F and CB650F have received a handful of upgrades each, including a slight improvement to their power output, now at just under 90bhp each. A larger exhaust helps them both breathe a little easier, and the front fairings have been made more aerodynamic. Honda have also released more details about the X-ADV off-road scooter – a fantastic mix of scooter convenience, now with the added capability of large spoked tyres, an upright riding position and large adjustable screen. 21L of space under the seat and enough power from the NC-derived 750cc engine make this a curious machine, but one that has a lot of potential! 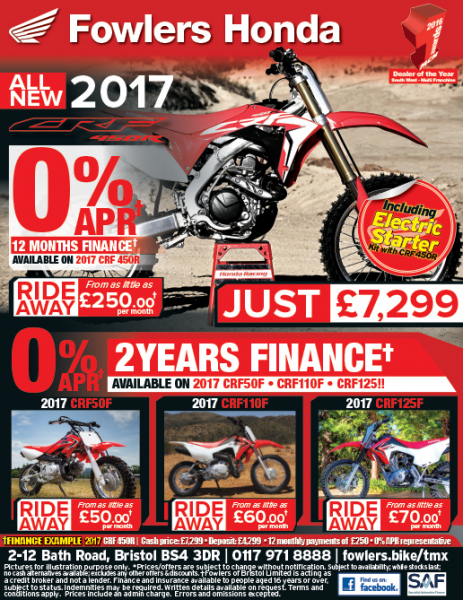 For fans of off-road style while riding on tarmac, two new treats are in store: the CRF250L and CRF250 Rally. The L is a lightly-updated version of the current model, but the Rally is a new beast, inspired by Dakar machines and taking a few cues from the HRC CRF450, such as the screen and exhaust shield. Both bikes achieve just over 24bhp, and feature ABS and a digital dash, while coming in-line with Euro4 emissions standards. 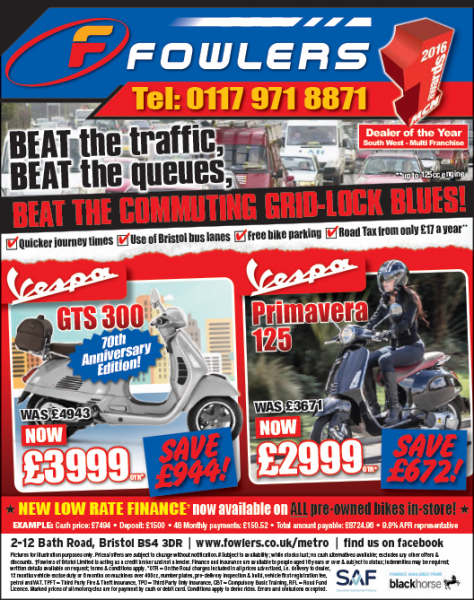 Honda’s scooter range hasn’t been neglected either – the Forza 125 and SH 125 have both received upgrades. The SH 125 can now fit a full-face helmet under its seat, and Combined Braking has been added to its long list of features for the commuter. The Forza 125 benefits from a styling upgrade to its bodywork, as well as new LED running lights. New Idling Stop technology has been added, as well as Honda’s Smart Key features. The ever-popular and stylish MXS125 has also received minor upgrades, in the form of ABS and Euro4 compliance. Yamaha have been busy this year already, releasing a variety of new machines into its stable at Intermot earlier in the year. At EICMA they have added to two favourites, at either end of the spectrum! The XSR900 is already a favourite with the retro crowd, but a new Abarth edition is sure to get heads turning. This 113bhp beast features drop handlebars and a front half-cowl, making it a sure contender for one of this year’s best-looking models. A full Akrapovic exhaust system, in addition to a custom suede seat, ABS and an Assist & Slipper clutch tick all the boxes too. Yamaha has lead the way in sports scooting for years with the T-Max, and now the 530 receives a few upgrades for 2017 to bring it up-to-date with the most advanced motorbikes too. 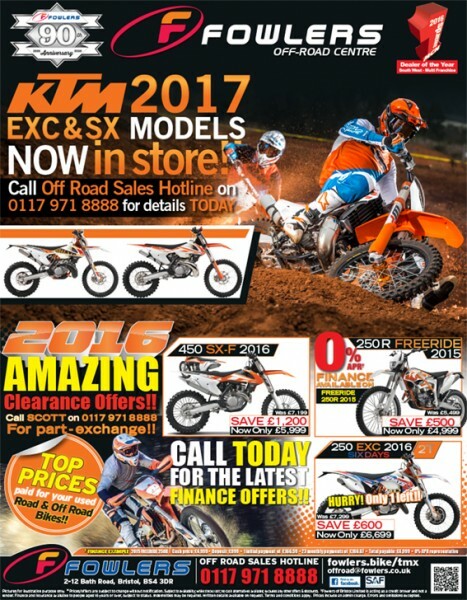 Three models will be released, the SX and DX adding to the standard scoot. The bodywork is sharper, sleeker, and the T-Max’s technology has also been updated, with an inbuilt tracker and traction control being offered. This entry was posted in Honda, New Bikes, Suzuki, Uncategorized, Yamaha and tagged EICMA on 11/11/2016 by Fowlers News. 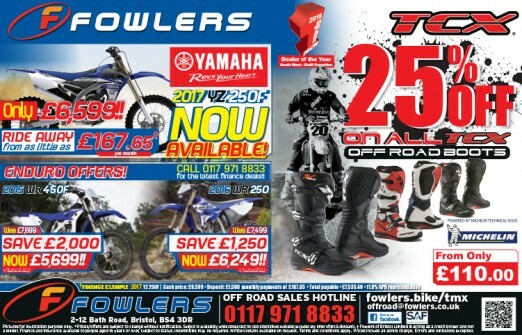 This entry was posted in Press Advertising and tagged offers on 07/11/2016 by Fowlers News.